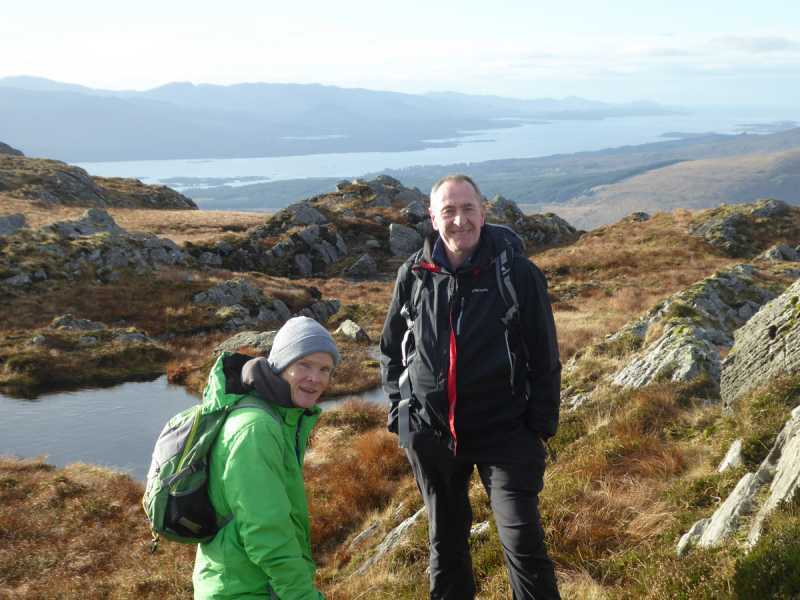 Picture from group : The summit area with Kenmare Bay in background. 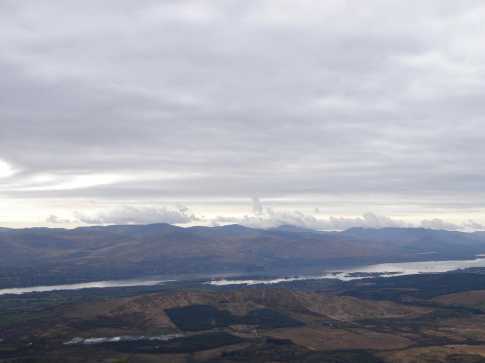 Picture: The summit area with Kenmare Bay in background. Slabby rough top with great views. Fine views abound, but going can be wet slippery in the winter, especially the last 50m of ascent. 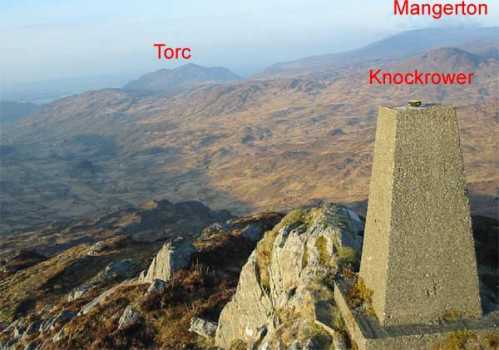 Easiest access is via the Kerry way from Gowlane, but it is possible to access from Peakeen West (from Molls Gap road): no real sense in approaching from N or S. The trig point stands alone atop a rocky perch and is visible from miles away. 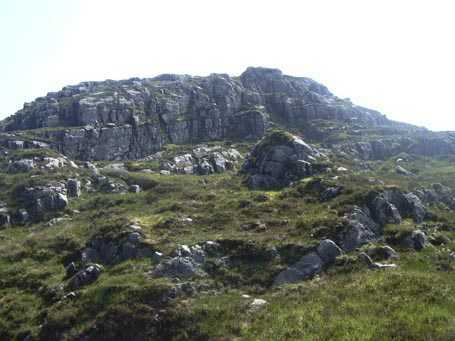 It's best to approach the final ascent from the north as there are cliffs east and very steep ground to the west. Made a quick climb as per John Desmond's route, but in mist and gathering dusk. Moderately challenging in these circumstances and I feel that Madfrankies pic of the crags underrates their extent on the East side.